Abdou Mboup was born in the small town of Kebemer, Senegal to a family of oral historians and musicians. 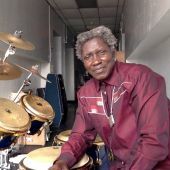 Having studied traditional drumming under the tutelage of his family, Abdou soon became a key figure in the development of the Mbalax style (Senegalese dance music). 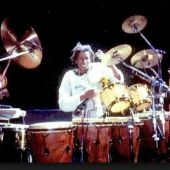 In fact in the early 1970s, he was the first musician to incorporate various traditional instruments into Senegalese popular music. A few years later, he joined the renowned Dakar based group Xalam, which he toured Europe and Africa under the patronage of South African trumpeter, Hugh Masekela. By the 1980s, Abdou was living and working in Paris, There he attracted the attention of the American trumpeter Jon Hassell, with whom he recorded and performed at the 1982 Womad festival in London, England. Soon thereafter, he became the percussionist of Eddy Louiss a French organ player and also a master with whom he toured and recorded for the next ten years. 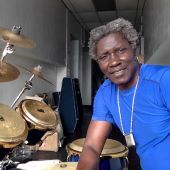 Concurrently, Abdou taught percussion at Loisirs and Culture music school in Soisy Sous Momerency, France and founded the jazz fusion band Sixun. In the years to come, Abdou’s career has only expanded. He has toured and recorded in Africa, Europe, America, Southeastern Asia, Japan, Nepal and India. 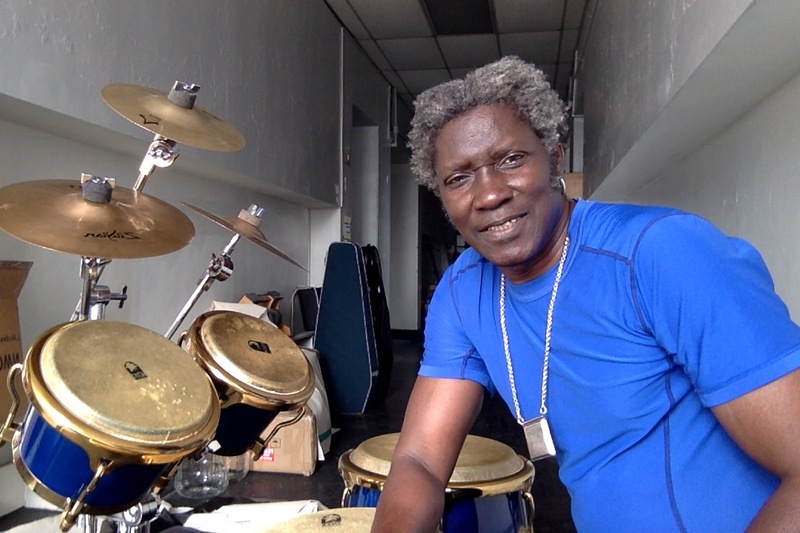 From the 1990s until now, Abdou has written original composition for Jean Luc Ponty, Pharoah Sanders Tom Tom Club, and Randy Weston. As a player, he has collaborated with Harry Belafonte, Nina Simone, Michel Petrucciani, Kenny Barron, Joe Zawinul Syndicate, Richard Galliano, Toots Thielemans, David Murray, Joe Lovano, Billy Higgins, Tom Tom Club, Ron Carter, Joe Chambers, Buster Williams, Chico Freeman, Bob Stewart, George Cables, Craig Harris, Steve Turre, Jon Faddis, Jason Moran, Regina Carter, Bill Laswell, Wycliffe Gordon, Elio Villafranca, Jon Lurie, Michel Portal, Claude Nougaro, Didier Malherbe, Johnny Clegg, Angeilque Kidjo, Africa Bambata Ronny Jordan. 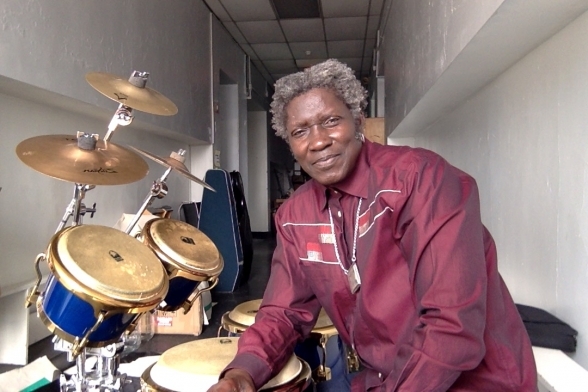 Abdou Mboup taught World Music Rhythm at the New School University, New York and lives in Union City, NJ. He is the leader of his own band WAAKAW, meaning “country boys” in his native Wolof.